December 24, 2014 October 15, 2015 tobidoylemacbrayneUncategorized, WTF? So I was googling mistletoe images when this beauty popped up. Wow, right???? It’s ugly, could be construed as offensive, and definitely vulgar. 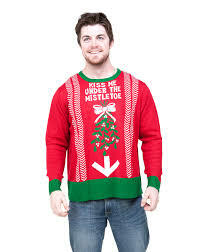 It’s the trifecta in what not to wear to the office Christmas party and yet… I wonder if I can get it at Zazzle?